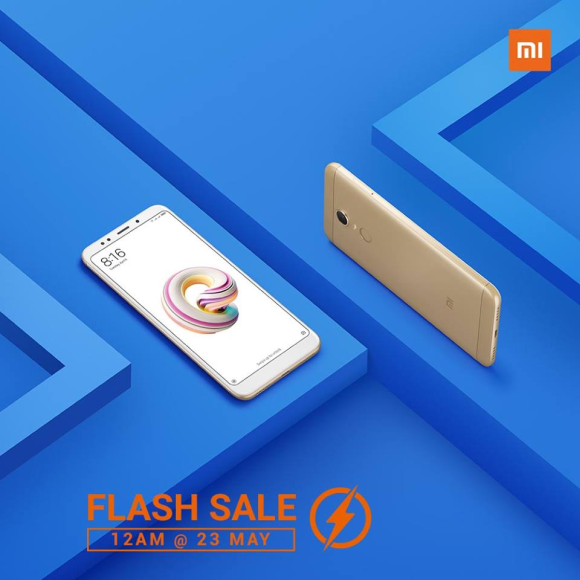 Xiaomi Malaysia is having a one-day flash sale today and you can enjoy discounts for selected smartphones and accessories while stocks last. If you’re looking for a budget smartphone with decent specs, these offers are worth checking out. The entry-level Redmi 5A can now be yours at RM339 instead of the usual RM399 price tag. This is the same offer as previous flash sales and it’s available in Grey, Gold and Rose Gold. To recap quickly, the Redmi 5A comes with a 5.0″ HD 720p display, a quad-core Snapdragon 425 processor with 2GB RAM and an expandable 16GB storage. It also gets a 13MP main, 5MP front camera and a 3,000mAh battery. For those who can spend a little bit more, the more capable Redmi 5 with an 18:9 display is now going for RM459, which is RM40 off its normal price. It comes only in Black and this is for the 2GB RAM and 16GB storage option. The Redmi 5 is a step up from the Redmi 5A as it has a larger 5.7″ HD+ Full Screen display, a more powerful and efficient Snapdragon 450 processor, a 12MP f/2.2 main camera, 5MP selfie shooter, a fingerprint sensor and a slightly larger 3,300mAh battery. The Mi Band 2 that’s originally priced at RM129 is now offered at RM88 while the slim 10,000mAh Power Bank 2 is now priced at RM69 instead of RM85. At the time of posting, all products are available except for the 10,000mAh power bank. Looking at the previous flash sales, this could be a reoccurring promo every Wednesday on the official Mi Store on Lazada Malaysia.